It was the last stand we visited at the Westport Farmers’ Market during our first visit this summer, and all it took was one small sample and I was hooked. 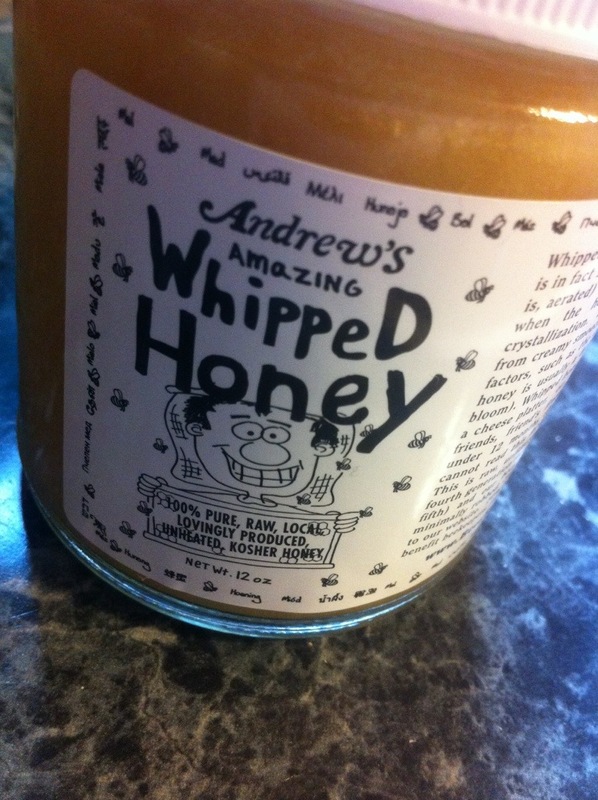 Andrew’s Amazing Whipped Honey lives up to it’s name – it truly is AH-mazing! Made by Andrew Cote, a fourth generation Connecticut beekeeper who runs Silvermine Apiary in Norwalk, Andrew’s Honey makes an array of products from honey to beeswax candles and soaps. Aside from running Silvermine Apiary, Andrew is the founder of Bees Without Borders and New York City Bee Keepers Association, two non-profit organizations. When he isn’t teaching beekeeping to underserved communities all around the world, he also teaches English and literature to college students – how cool is that?! 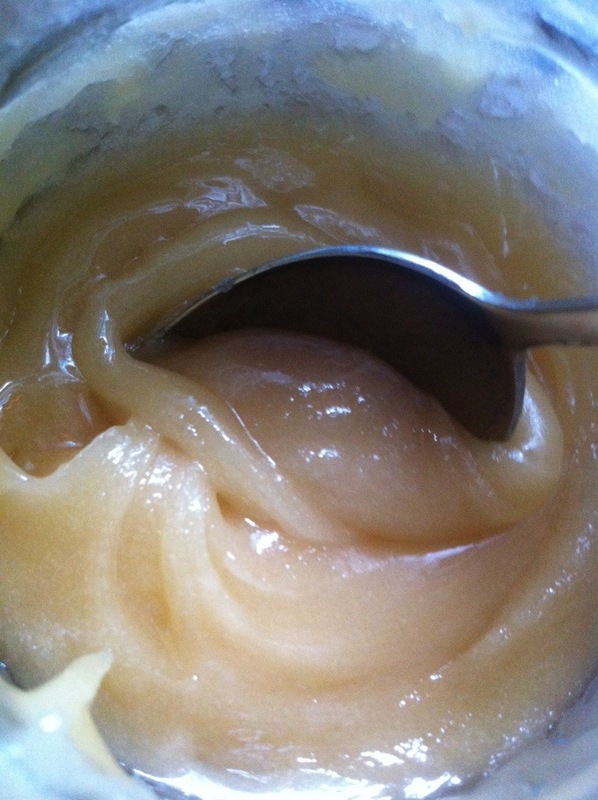 As you can see below, when left to rest the whipped honey appears granular and hard. 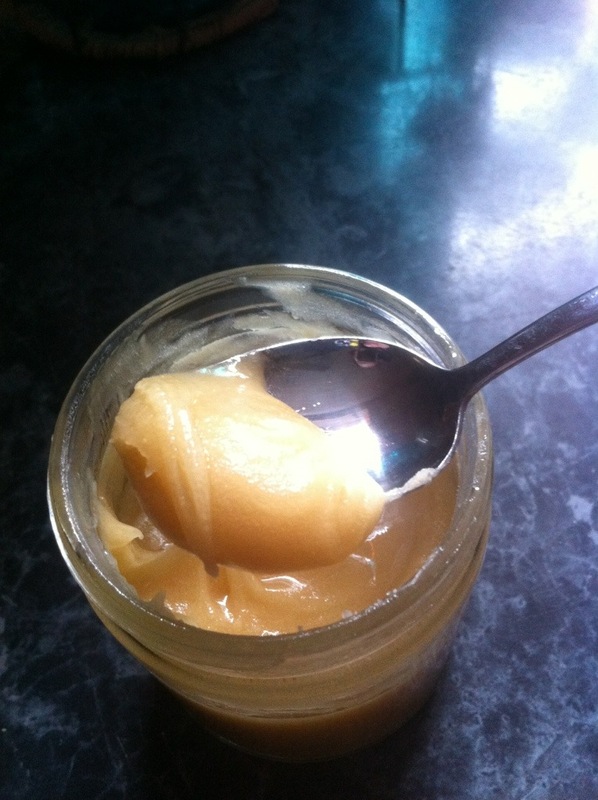 With just a little stirring the whipped honey almost has the consistency of a very soft butter, yet slightly gooey. What does whipped honey taste like? 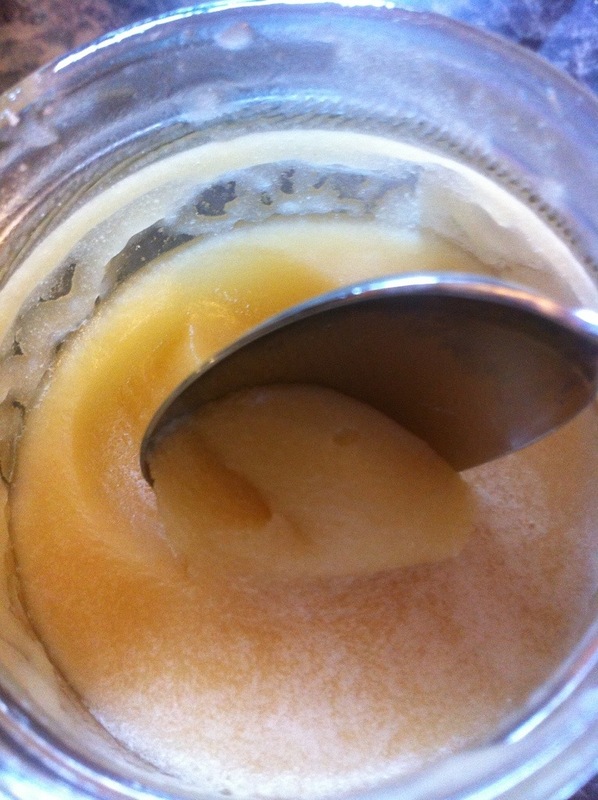 Whipped honey tastes like honey, but the texture is slightly granular and soft at the same time. Whipped honey’s texture reminds me of maple sugar candies when they melt in your mouth and become soft and a little gooey. How do you eat whipped honey? Well, right out of the jar works, but if your sweet tooth can’t handle it that way it’s also really good on toast, or just a piece of bread. 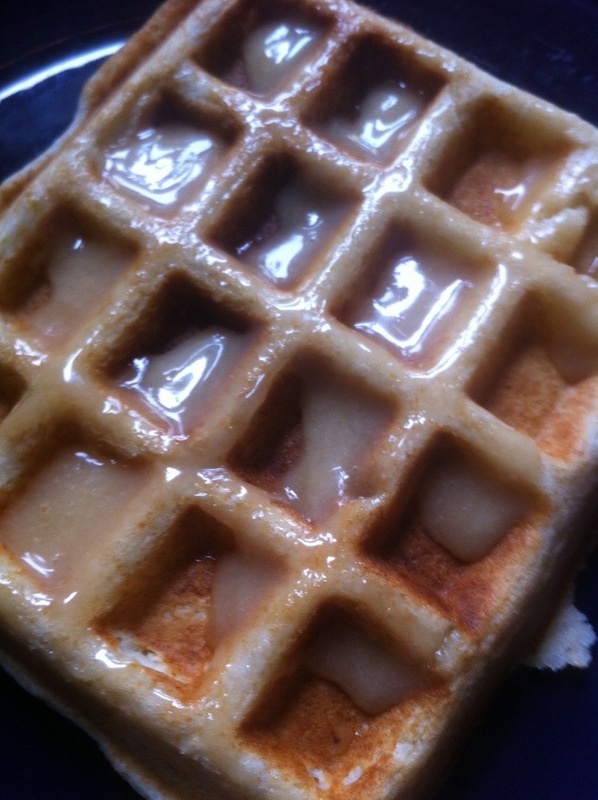 I like to slather it on sliced apples or graham crackers. 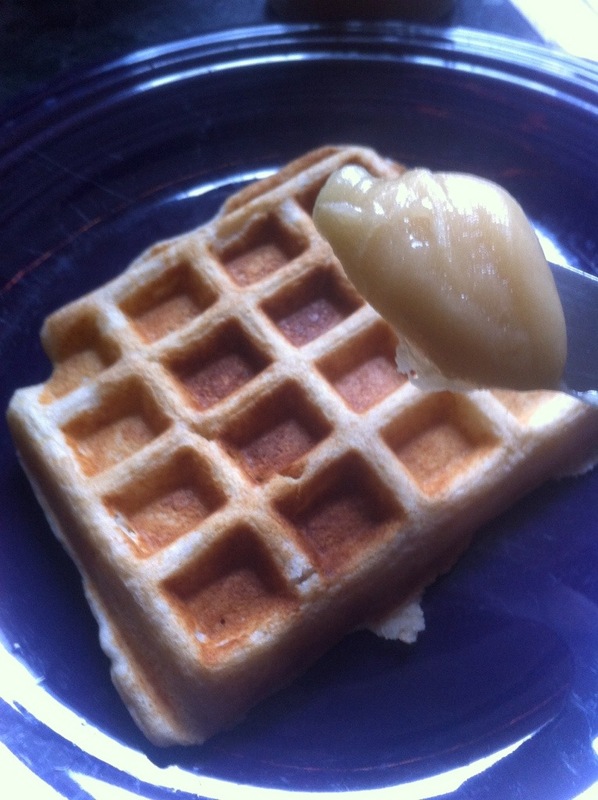 It’s also fantastic spread on warm pancakes or waffles. 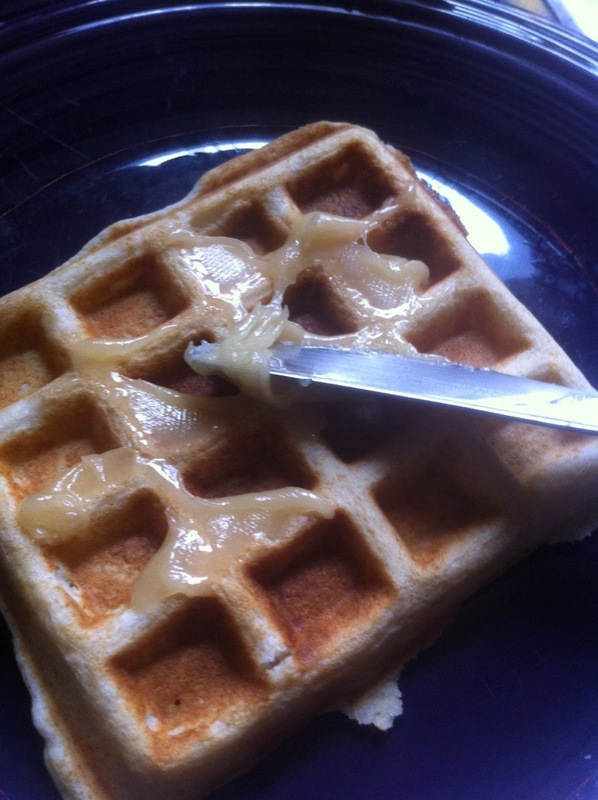 For my go-to recipe for waffles and pancakes (shown above), click here. 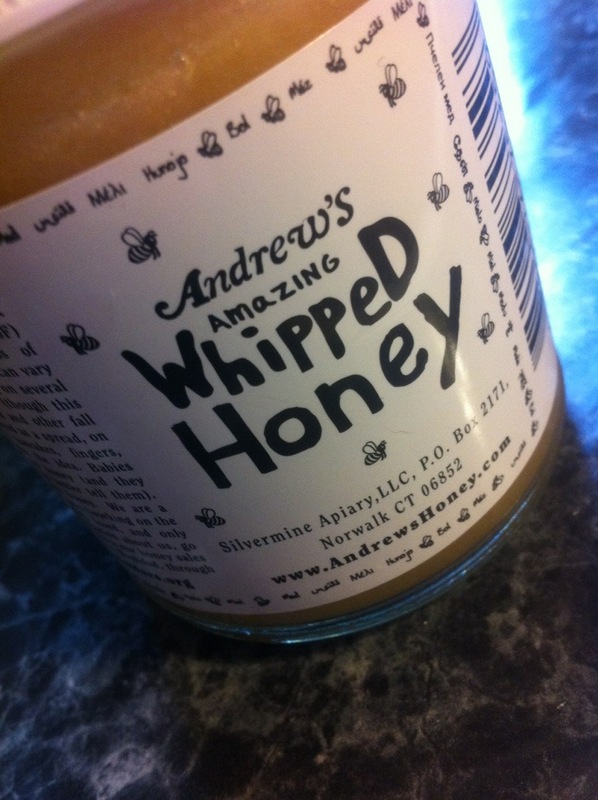 How do you get your own jar of Andrew’s Amazing Whipped Honey? You can visit Silvermine Apiary or local Connecticut Farmers’ Markets, such as Westport Farmers’ Market. It’s Just Pie, It’s Jes’ Pie, It’s Lemon Chess Pie!